Named after the Duke of Wellington himself, the Beef Wellington has cemented itself as a quintessential British dish. This stylish take on the classic, with sun-dried tomatoes and chestnut mushrooms, is a show-stopping centre piece for a special occasion or family Sunday roast. 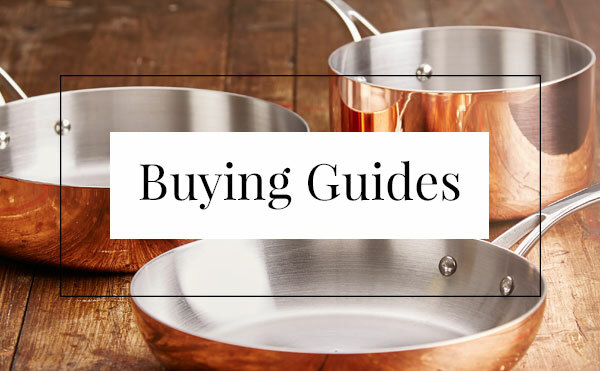 We’ve made it easy for you to start cooking by highlighting all the equipment you’ll need to get underway. It’s important to choose the right tool for the job no matter how big or small to really achieve your cooking’s full potential. Take a look at our interview with a chef to find out what tools they couldn’t live without and see if there’s any equipment to help you perfect this Beef Wellington recipe. 1. Melt the knob of butter in a medium sized pan over a high heat and add your sliced chestnut mushrooms. Fry the mushrooms until they are cooked through and the moisture has dissipated. Set aside to cool down while you concentrate on the beef. 2. Splash a little olive oil in a skillet pan and sear the tenderloin over a high heat for roughly 30 seconds on each side. You don’t want to cook the beef at this point, you just need to colour it as browning the meat develops tonnes of new flavours. 3. Remove the beef from the heat. Once it’s cooled down brush a layer of English mustard onto the beef and set aside. The mustard adds another dimension of flavour with acidity and heat to what would be a bland cut of meat. 4. Take the cooled down mushrooms and mix together with the sun-dried tomatoes, parsley, breadcrumbs, black pepper and one beaten egg until you get a paste-like consistency. Don’t be afraid to get stuck in with your hands, many professional chefs use their hands to mix delicate ingredients to feel when the mixture has thoroughly combined without overworking it. 5. Lay a sheet of clingfilm on a work surface and arrange the pancetta slices in a row. Overlap each slice slightly to lock in the meat’s moisture and use a palette knife to spread the mushroom and tomato mixture evenly over the pancetta. 6. Place the beef along the lower edge of the pancetta and mushroom mixture and neatly roll to form a tight barrel shape, twisting the ends of the clingfilm as tight as possible. Use several layers of clingfilm if you need to, this part is vital as it will determine the final shape of your beef Wellington. Leave to chill for 15 to 20 minutes so it holds its shape. 7. Lightly flour your worktop and roll the puff pastry into a large rectangle so it extends a couple inches beyond each end of the beef. Take a look at our popular pastry recipes to make your puff pastry from scratch. 8. Remove the beef from the clingfilm and place it along the lower edge of the pastry. Brush the surrounding pastry with egg yolk so it securely sticks together and roll it away from you, taking care to finish with the seam underneath. 9. Cut off any excess pastry and fold the ends in as if you are wrapping a present. Brush the pastry with an egg yolk so it will give the beef Wellington a lovely golden shine, then chill for 15 minutes to let the pastry set. 10. Preheat your oven to 200°C/180°C Fan/Gas mark 6. 11. To give the pastry a crisp finish, lightly score it with a paring knife so the air and moisture can escape and sprinkle sea salt over the top. Bake for 20 minutes on gas mark 6, then a further 15 minutes on gas mark 4 or until golden brown. 12. Make sure you leave the beef Wellington to rest for 10 to 15 minutes before slicing, allowing the juices to settle for a very succulent dish.